Helping to turn your dream garden into a reality using our expertise and knowledge of the industry. 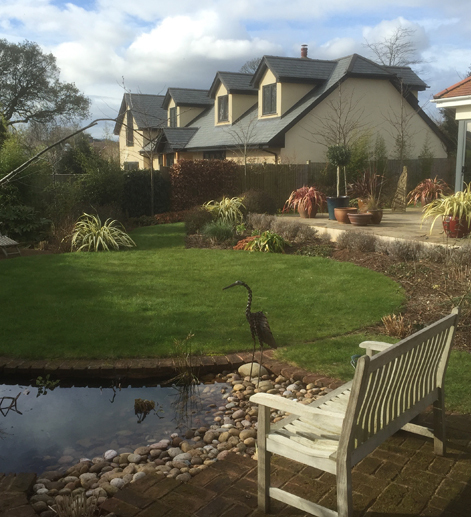 "We are experienced and knowledgeable landscape designers working across the Devon area." Operating across the Devon area, we at Plantation Landscape Design and Gardening are skilled and knowledgeable landscape designers specialising in a comprehensive range of services including: decking, paving, timber building, basic garden work to complete garden redesigns. Using their expertise and knowledge of the industry, our team of landscape designers will sit down with you to discuss all ideas you may have before turning them into a reality. Want to know more about the services we offer as well as areas we work within Devon, get in touch with our landscape designers today who will happily assist you in your enquiry.